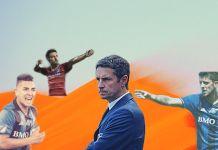 The Drogba saga, LA trying to get some of its Galactic shine again and more. The Didier Drogba Mexican soap opera continues! If I where to interview Didier Drogba today,I would definitely hire a violinist alongside. 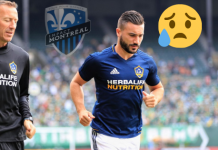 The article posted by the reputable L’Equipe.fr had an earthquake effect across North American and English soccer aficionados. 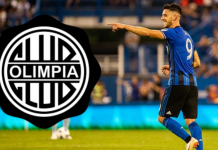 Here is my take on this saga, during his first press conference upon joining the Montreal Impact, he claimed that he wanted to be here, that he wanted to win more trophies and that he would give it his all to make those achievements happen. Some may tell me that any player joining a new team will say those words but I believe that if you hold the ‘’Legend’’ title, which he does, those words have a much bigger impact and a lot more people in Montreal and across the world are expecting him to make it happen. Coming back to his quote on January 6th, for me it is up to Didier to make up his mind. If his heart is at Stamford Bridge then he should be there. Yes, he has played six months in the MLS, scoring 12 goals in 14 games but nobody is irreplaceable in the world of football. 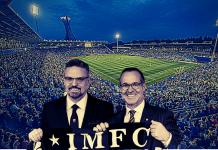 And if Montreal is going to win trophies and have a leader with his charisma on and off the field to help them reach that goal, they certainly need a leader with a heart in Montreal. 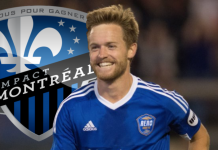 The fact that he claims that ’He is still in discussion with the Montreal Impact about his future, concretely shows that his heart and mind are with the Blues. Didier hasn’t been seen today sitting at Roman Abramovich’s lodge during Chelsea’s FA Cup game vs. Scunthorpe United. 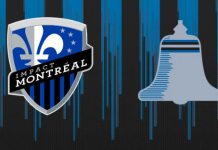 That could be a positive sign for the Montreal Impact but let’s not jump to conclusions. In the society we live in today, money is the most crucial decision factor but home is where the heart is: London. It is reported by many trusted football media sources that Dutch international and AC Milan defender Nigel de Jong could sign with the LA Galaxy. De Jong (31 ) has been recognized around the world as one of the strongest defensive midfielders. He has played for Manchester City, Ajax Amsterdam, Hamburger SV winning one Eredivisie title in 2003-04 with Ajax and one English Premier League title in the 2011-12 season with the Citizens. Having also played two World Cups in 2010 and 2014 for the Dutch National team, no one will ever forget his shaolin kick on Xabi Alonso’s chest during the Fifa World Cup Final in 2010. With the departure of their ingenious defensive midfielder Juninho to Mexican giants Tijuana and De Jong’s limited playing time at AC Milan with the reserve team, this could be a huge signing for the league and mostly for the LA Galaxy who now have a superstar roster with the likes of Steven Gerrard, Giovanni Dos Santos & the indefatigable Robbie Keane!!! Alongside with the Nigel De Jong transfer rumour to the LA Galaxy, it has also been reported that 33 year old English center back Jolean Lescott could also sign with the club as the LA Galaxy need to fill in for the loss of their best defender Omar Gonzalez who was also sold to another Liga MX giant Pachuca. The experienced and former English international , who has played 26 times for England’s national team, has won two English Premier League titles with Manchester City and has had more than 500 appearances throughout his career in English professional football. Having signed with Aston Villa, his childhood club, Lescott has more than one year left in his contract but the club is currently a few points away from relegation and with the money pocketed thanks to Juninho’s and Gonzalez’s transfers, Los Angeles could potentially make a decent offer to add him to their impressive roster. 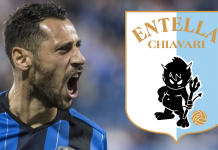 With his experience as a confirmed center back this would definitely be a great addition to the league and a solid move for Bruce Arena’s Galaxy. The explosive and talented Javier ‘’Chicharito’’ Hernandez has been having one of his best seasons throughout his professional career as a footballer. Currently playing for German side Bayer Leverkusen, scoring 19 goals in 22 games, the former Manchester United striker is on fire! They’re improving, improving a lot, I’m very happy that this country and all the people in the U.S. are more interested in soccer, because that’s a good country to play and as well as to live [in,] to play in Major League Soccer, which I think is growing up day by day. Honestly I don’t see this deal happening anytime soon, as the 27-year-old has proven Manchester United wrong in letting him leave especially with the difficult season they are having now. 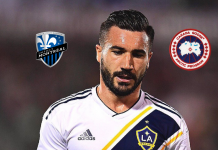 But if it does happen, he would be a great addition to MLS , bringing more superstar exposure and a great addition to the Orlando City SC, alongside Brazilian genius midfielder Kaka and the impressive Canadian rookie Cyle Larin. Not being able to impose himself as a key player at Chelsea FC and not being the striker he used to be at Atlètico Madrid, Radamel Falcao is looking to revive his professional football career. According to mundodeportivo.com, Falcao could be joining the Crew SC for their 2016 season. 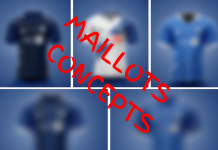 At only 29 years of age, he has played for River Plate (Argentina), FC Porto (Portugal), Atlético Madrid (Spain), Monaco (France), Manchester United (England) and Chelsea FC (England). That’s a total of 6 clubs and 5 different countries in a very short span of time. The Colombian striker is currently on loan at Chelsea FC from AS Monaco and let’s not forget that he tore his ACL (early 2014) and missed the World Cup in Brazil. He should, in my point of view, consider a move to the MLS to regain his self-confidence and get back to his level which got him to be considered one of most lethal strikers in the world a few years ago. 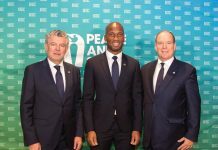 Other transfer ideas can be found here for Drogba’s replacement and here for a different point of view on whom Montreal can also get. Cet article a été rédigé par Fadel Lahlou. Bio de Fadel: Electronic Music producer (Get Phyiscal Music // Toolroom Records) – Soccer Analyst & Outside-of-the-box Geek. Visitez sa page SoundCloud.